KENNELBACH, AUSTRIA — HEAD players enjoyed success last week at various tournaments around the world. HEAD player Ivo Karlovic of Croatia successfully defended his title at the Slazenger Open in Nottingham as he defeated No. 3 seed Fernando Verdasco 7-5, 6-7(4), 7-6(8) in a closely fought match. On his way to the final round, Karlovic, who plays with the Flexpoint Instinct, defeated fellow HEAD player Gael Monfils in the semifinals 7-6(4), 7-6(4). 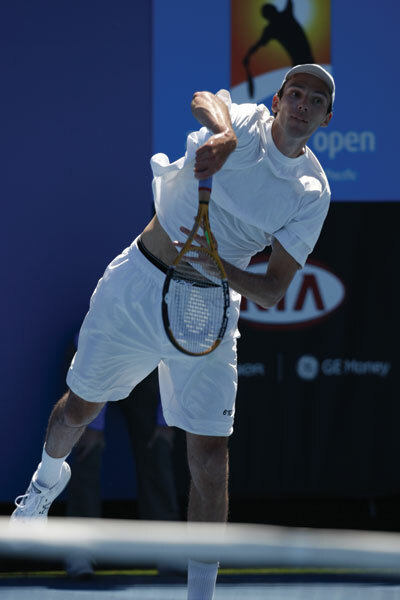 HEAD Player Marin Cilic, who plays with the MicroGEL Radical MP, also reached the semifinal round defeating No. 2 seed Paul-Henri Mathieu in the early rounds of the tournament. Unseeded HEAD player Marc Gicquel, who plays with the MicroGEL Prestige MP, had an impressive showing at the Ordina Open in s’Hertogenbosch making it to the final round and eventually losing to top seed and world No. 5 David Ferrer 6-4, 6-2. Along the way, Gicquel defeated No. 2 seeded Richard Gasquet 7-5, 7-6(6). In doubles competition, HEAD player Jurgen Melzer won the title with partner Mario Ancic defeating No. 2 seed Mahesh Bhupathi and Leander Peas 7-6(5), 6-3.